The Buzz About Electrical Safety! Springtime and warmer weather bring about a flurry of activity in the Metro East — inside the home and outdoors — as well as the potential for accidents. Just as homeowners begin wrapping up their spring cleaning or landscaping in the yard, National Electrical Safety Month in May provides a good time to revisit the importance of safety when working around electrical lines or equipment. Homeowners are seven times more likely to be injured at home than at work, according to the National Safety Council. For residents considering any home improvement repairs such as roof work, exterior painting, landscaping, or building a patio, following a few simple precautions can help avoid a painful and costly accident. 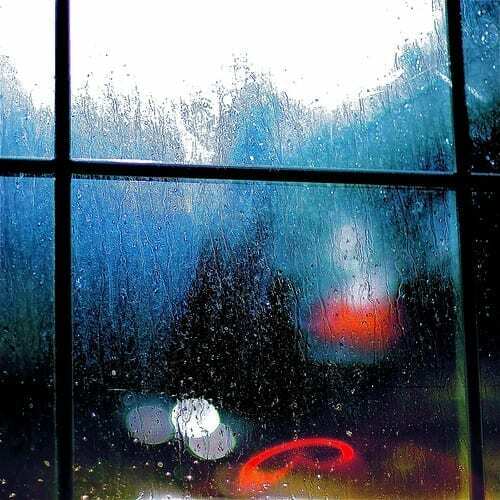 The following are a few simple safety tips that homeowners should follow while working inside and outside of the home. For more information on electric safety, visit our website. Inspect your home for electrical safety. Check outlets and extension cords to make sure they are not overloaded. Examine electrical cords to make sure they are not frayed, damaged, or placed under rugs or carpets. Make sure the proper watt light bulbs are being used in light fixtures and lamps. Install ground fault circuit interrupters (GFCIs) in areas that can get wet such as the kitchen, bathrooms, or outdoors. Test your smoke detector batteries annually. Hire a licensed professional to do the work. An older home may be inadequately wired for today’s electrical usage, putting your family at risk for fire and electrical shock. Hire a licensed professional to replace worn and outdated circuitry and add additional outlets to accommodate appliances and electronics. Use electrical tools wisely. Inspect your electrical tools on a regular basis, including large tools such as table saws, drill presses, and bench grinders. 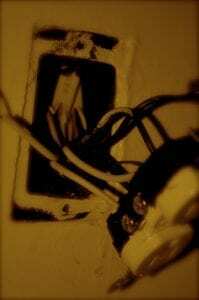 Look for frayed power cords, broken plugs, or cracked housings. Never use a damaged product. Never use electrical tools in the rain or in wet areas — specifically, do not use electrically powered lawn mowers on wet grass. Use three-pronged outlets and plugs. Always wear appropriate personal protective equipment like face shields, glasses, gloves, and boots. Refer to the owner’s manual for recommended protective equipment. Call before you dig. When working underground, “call before you dig” — whether you are planting a tree, building a fence, or laying a building foundation, contacting an underground line can be harmful. Call Illinois One Call at 1-800-892-0123, three working days in advance, to have underground utility lines marked for safety. Work safely outdoors. Be sure to use extension cords marked for outdoor use. An indoor extension cord can result in electric shock or cause a fire hazard when used outdoors. Call a licensed professional if your home repairs require work near power lines. Look up, stay away, stay alive. Even momentary contact with electric lines can injure or kill. This applies to lines attached to utility poles as well as those entering buildings. 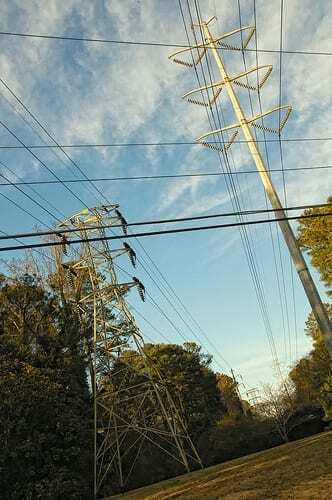 Always keep yourself, your equipment, and anything you carry at least ten feet away from power lines. Contractors and other professionals needing to work within ten feet of a power line should call Ameren (1-800-755-5000) or SWEC (1-800-262-0326) in advance to make arrangements to protect the work area. Be aware of power lines that run through tree limbs and branches. Climbing or trimming trees near power lines is dangerous. Trees located near aerial power lines should always be trimmed by a qualified contractor. It only takes a moment to pick up the phone and call a licensed professional to look over the area before you begin. The safety of yourself, your family, and your home is what matters most to us. Visit our website or call us to schedule an appointment today. Earth Day is today and we’d like to share some energy saving tips! Heating and cooling your home uses more energy and drains more energy dollars than any other system in your home. 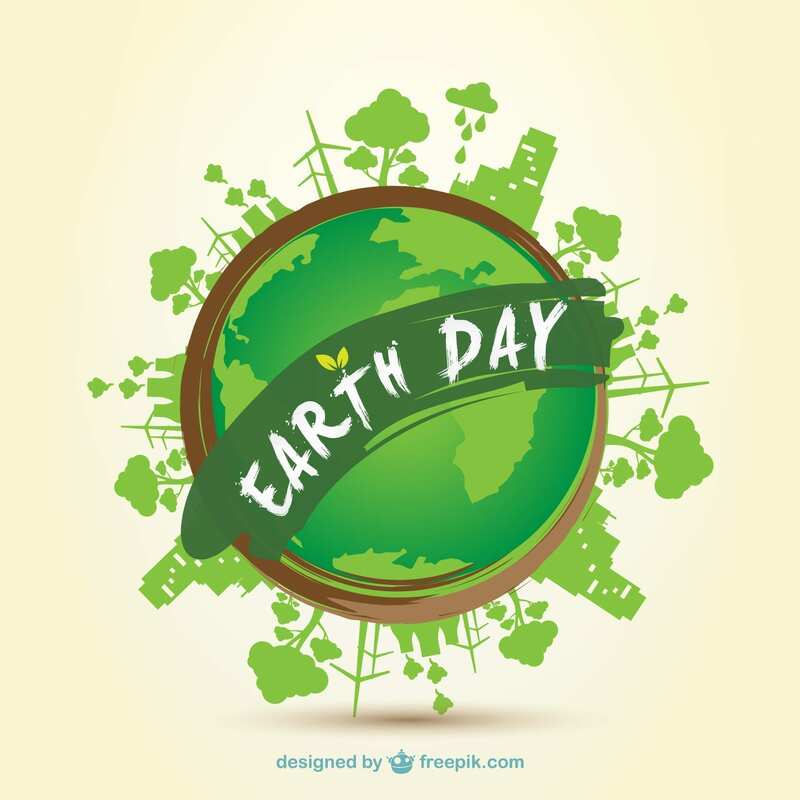 Below are just a few of the many, many tips out there to help out the environment, while saving yourself some money too! 1. Change the filters in your current HVAC system. A new air filter can increase the efficiency of your HVAC system by giving it proper airflow. There are several types of permanent air filters available in various efficiencies that can help you filter the air in your home. If you suffer from allergies, asthma, hay fever or other breathing difficulties, there is an air filter that can help you. We can even provide you with the same type of air filter used in hospital operating rooms. 2. Install a digital setback thermostat. A digital setback thermostat is designed for people with fixed schedules that take them in and out of the home. With it, you can program the temperature to ‘set-back’ when you are not at home. This feature keeps you comfortable when you’re home and saves you money when you’re not by reducing the energy needs to heat and cool your home. We can help you select the prefect thermostat for your home. 3. Save on water-heating bills. Some ways to save on these bills require greater financial investments than others. You may wish to consider the no- or low-cost options before making large purchases. Also allow for circumstances that may be unique to your household when deciding on the appropriate options (e.g., a small-capacity washing machine could meet the needs of a one-person household efficiently). 4. Add additional air returns to your current system. Lack of return air is a very common problem for those systems that were either poorly designed or originally planned for heat only applications. Adding additional returns to your system allows for greater supply air into your home, resulting in better airflow and comfort for your family. The benefits you will receive by taking care of this problem include: quieter operation, better airflow, fewer repairs, longer life of your equipment, lower utility bills and, best of all, greater comfort. Call us today to learn how we can help you save energy… and money! 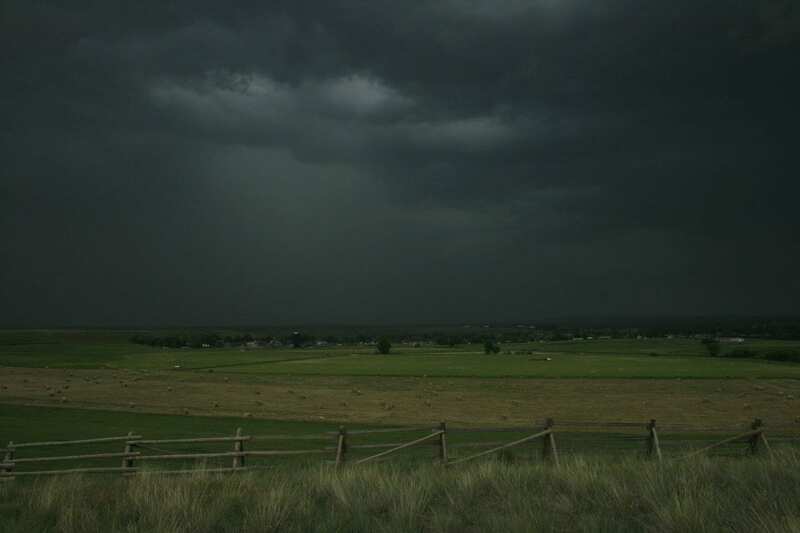 Be Prepared for Spring Storms! There are a handful of tasks homeowners can do to prepare for a storm beforehand, such as assemble an emergency kit that is easily accessible. It should include a battery-powered radio or television, a flashlight with extra batteries, candles and matches or a lighter, a first-aid kit, a fire extinguisher, bottled water, non-perishable food and a can opener. Make sure you have recently changed the batteries in your smoke and carbon monoxide detectors. Homeowners should keep a corded or cell phone on hand because cordless telephones need electricity to operate. One should learn how to manually open automatic garage doors. Homeowners who depend on electrically powered medical equipment should ask their physician about a battery back-up system. If one is elderly, or has a medical condition that would be adversely impacted by a power outage, he or she should develop an emergency plan that allows for alternative accommodations with family or friends. Those who depend on a well for drinking water should definitely have bottled water on hand. During a storm, additional precautions should be followed. Stay at least ten feet away from downed power lines and anything that they may be touching, especially metal fences. Treat every downed power line as if it were energized. Keep children and pets out of the area. Downed power lines should be reported immediately to the utility company so the hazard can be assessed and marked off until repair crews arrive. Ameren Illinois customers should report power outages, and down lines, to Ameren’s website, or call 1-800-755-5000. Southwest Electric Cooperative customers should report power outages or down lines by calling 1-800-262-0326. Don’t assume they know your power is out. After a power outage is reported, the utility company can assess the extent of the damage and dispatch crews to make the necessary repairs. If you lose power, don’t open refrigerators and freezers more often than absolutely necessary. A closed refrigerator will stay cold for twelve hours. Kept closed, a well-filled freezer will preserve food for two days. Partially thawed food or food that has ice crystals usually can be refrozen. Never use a gas range for heating, or charcoal as an indoor heating or cooking source during a power outage. Turn off or unplug all appliances to prevent an electrical overload when power is restored. Tiger provides whole house surge protectors to prevent overloads and surges at the main panel. Leave on one light switch to indicate when power is restored. If using a portable generator, disconnect house circuits from utility power lines. Pull or switch to “off” all main fuses or circuit breakers to protect line crews working to restore service. Always operate generators outdoors to avoid dangerous buildup of toxic fumes. During low-voltage conditions, such as “brownouts” – when lights are dim and television pictures are smaller – shut off motor-driven appliances such as refrigerators to prevent possible damage. Sensitive electronic devices also should be unplugged. Stay out of flooded or damp basements or other areas if water is in contact with outlets or any electrically-operated appliance. The water or moisture may serve as a conductor of electricity. This can cause serious or even fatal injury. To learn more about our storm preparedness products, or to schedule an electrical safety assessment of your home, contact the professionals at Tiger Electrical Services today by calling 1-866-844-3770 or visiting www.TrustTiger.com. New Water Heater Regulations Mean The Time To Replace Is Now! While most homeowners are worrying about getting their taxes submitted on time, contractors across the nation are gearing up for new federal Department of Energy regulations regarding water heaters. 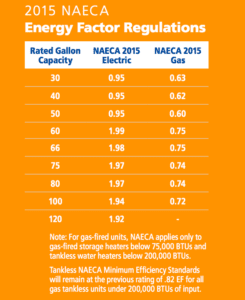 The National Appliance Energy Conservation Act, or NAECA, raises the minimum efficiency (energy factor) of nearly all residential water heaters. 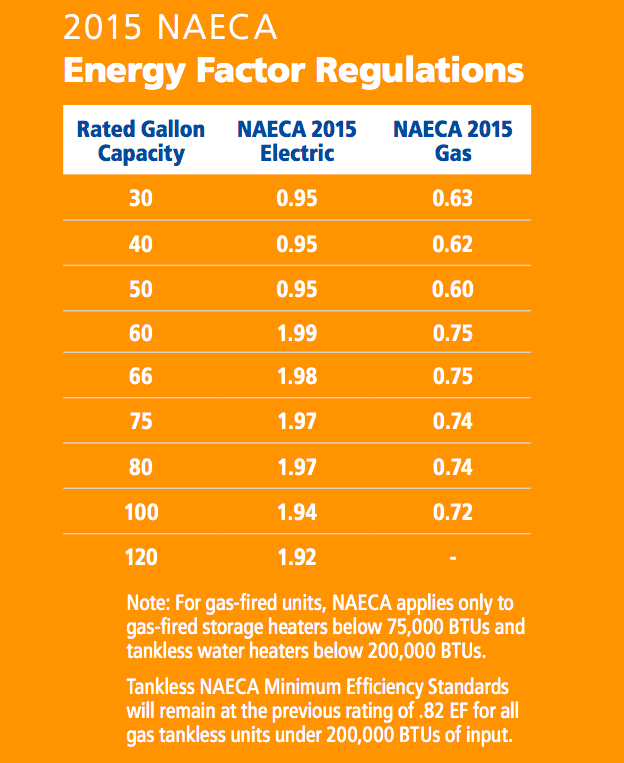 Going into effect April 16, 2015, NAECA impacts all tank-type brands of water heaters. Although older units may be available in limited quantities and can be installed after this date, manufacturers across the United States will not be making the “old style” anymore. This new regulation is being implemented as a government energy savings initiative. Although the new regulations impact manufacturers, dealers, and contractors, the ones who will be most affected by the regulations will be homeowners. The new standards do not require homeowners to replace their current water heaters, but as time passes you will only be able to buy units meeting the new DOE efficiency standards. Some of the extra cost may be recouped in energy savings, eventually. In most cases the savings amount to less than a couple of dozen bucks a year, with payback periods as long as 10+ years. For models under 55 gallons in capacity, there will be additional insulation on the water heater. Although units will be using similar technology as before, most models will grow by 2 inches to meet the new standard. This change could be in height and/or width. What this means for homeowners is that additional planning and preparation may need to go in to a water heater purchase. There could be size and placement restrictions, and additional plumbing or gas line alterations may need to be completed prior to water heater installation. This is not the only issue presented by the new standards regulations. History tells us that whenever a change of this magnitude is instituted, prices of higher efficiency equipment are always affected. Following the last major efficiency upgrade, there was a price increase for the new standard equipment of between 8-12%. We now know from one of the major manufacturers that these price increases on the new NAECA compliant products will be up to 40%. We can only surmise that all major water heater manufacturers will follow suit. For models over 55 gallons in capacity, there is a bigger change. The new standards have forced manufacturers to adopt technologies that are likely to increase the price of water heaters and their installation significantly. Large water heaters of 55 gallons and above may double or triple in price, according to some industry observers. Most models will be required to change to a newer technology. This involves massive re-engineering and retooling. Gas water heaters will now be required to be High Efficiency Condensing models. Electric water heaters will need to be Hybrid Electric Heat Pump models. There are significant size differences in these new style water heaters over 55 gallons. There are a few exceptions to the new standard. Several of today’s high efficiency models are already compliant. Hybrid, high efficiency gas and electric models, tankless, and power vented water heaters are unaffected because they already meet the new efficiency regulations set by the DOE. For new construction projects, be sure to allow more space for the water heater to be installed. 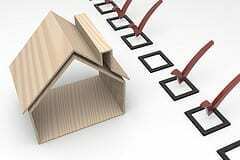 For retrofit or replacement projects, plan ahead. The professionals at Tiger Plumbing Services recommend that if you are on the fence about a new or replacement water heater, to act now. Due to the new manufacturing requirements, prices of water heaters will begin to rise. In addition, you may have to relocate your water heater or downgrade in capacity because of the new size requirements. Industry statistics show that the average storage tank water heater lasts 10-15 years. If yours is at the outer edge of that life span, even if it is in good working order, this is a good time to consider replacing it now. In addition to paying more money in the years ahead, you will be forced to try out new technology that has been rushed into the marketplace and may well have a few bugs to be worked out. Also, water heaters compliant with the new standards will be larger and may not fit in the space your water heater now occupies, leading to more headaches. The new regulations allow sellers of water heaters to deplete their inventories of pre-2015 models before taking on the new high-efficiency units. 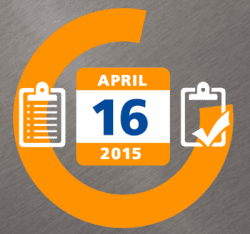 This means that homeowners may still have access to some older units after April 16th. As time passes those older models will become harder and harder to find, and their prices are likely to go up accordingly. This may also be a good time to consider a tankless water heater. Tankless water heaters do not store hot water, but heat it on demand. They boast efficiencies of up to 96% and already meet the new federal regulations. No matter how you decide to handle these new 2015 NAECA standards regulations, whether you upgrade your equipment now or in the future, always remember to hire a licensed contractor. The professionals at Tiger Plumbing, Heating, Air Conditioning, & Electrical Services have the skills, knowledge and experience, not to mention the proper tools, to advise you on the best water heater choice for your home, and to install your new unit correctly and efficiently, the first time. They will also provide a higher grade of equipment than is offered by your local home improvement store. Give us a call at 1-866-844-3770, or chat with us online at www.TrustTiger.com, to review your options, but don’t wait too long. Demand for the “old style” water heaters is high, while the supply is being depleted to adhere to the new regulations.